New Mexico Department of Health Harold Runnels Building (1190 S. St. Francis Drive, Santa Fe, NM 87505). Prior to the the Medical Cannabis Advisory Board Meeting schedule for that day. Cancelled Due to Meeting Cancellation. 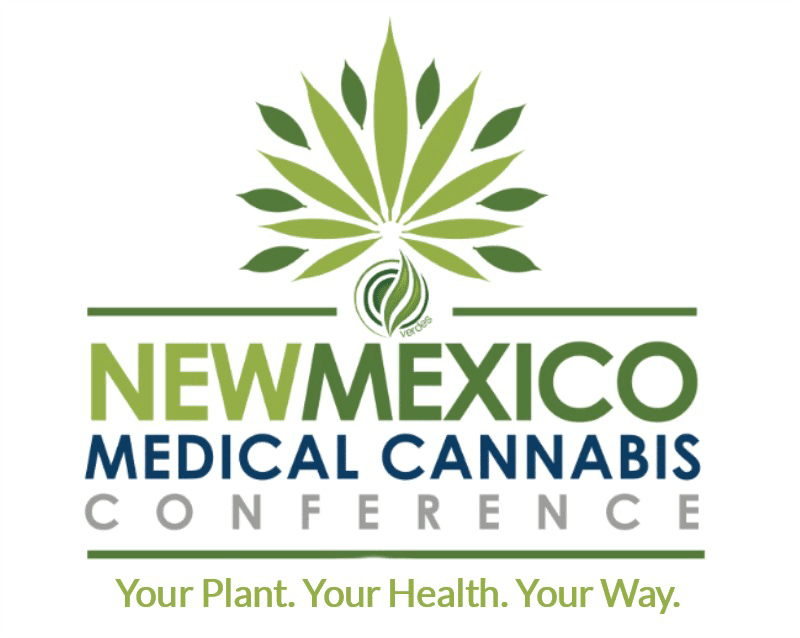 Santa Fe, NM - We've come a long way since cannabis was first decriminalized in Oregon in 1973 and then in New Mexico; medical cannabis history started in 1978, after public hearings the legislature enacted H.B. 329, the nation’s first law recognizing the medical value of cannabis…the first law. 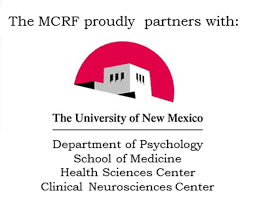 This now being the 10th year for New Mexico’s Medical Cannabis Program (MCP) that was created in 2007, as the Lynn and Erin Compassionate Use Act, under chapter 210 Senate Bill 523. Safe Access to medical cannabis for those patients who do or will benefit most from medical cannabis treatments; still need to overcome political, social and legal barriers with advocacy by creating policies that improve safe access to medical cannabis for patients - and that means at school too. In New Mexico families are unjustly being denied to allow their child to use medical cannabis while at school, we now have two parents fighting to change this. These two courageous mothers are fearlessly advocating for medical cannabis patients rights and safe access for the beneficial use of medical cannabis in schools, which is also the very fundamental basis for New Mexico’s medical cannabis law. These two children and any student for that matter in our state’s medical cannabis program should be treated just like every other child who attends public schools in our state that uses medicine at school. The use of medical cannabis and safe access to it at school for these two students is a medical necessity. Schools already allow children to use all kinds of psychotropic medications—from Ritalin to opioid painkillers—when prescribed by a physician. But they tend to take a much harder stance on medical cannabis, even in the case of non-psychoactive medical cannabis CBD oils. Currently there are six other states with comprehensive medical cannabis programs (New Jersey, Maine, Washington, Colorado, Pennsylvania, and Illinois) that have successfully set forth Rules and Regulations for allowing school age children to have safe access to medical cannabis while attending public schools. In Albuquerque, parents of Paloma, age 4, was diagnosed with a severe form of epilepsy called Dravet Syndrome and takes doctor-recommended cannabis oil in the morning, at lunch and in the late afternoon to keep the chronic seizures under control. Despite having a medical cannabis card, State law prohibits medical cannabis on school grounds and on school buses and Albuquerque Public Schools cites the drug-free policy within APS. New Mexico Department of Health Harold Runnels Building (1190 S. St. Francis Drive, Santa Fe, NM 87505). 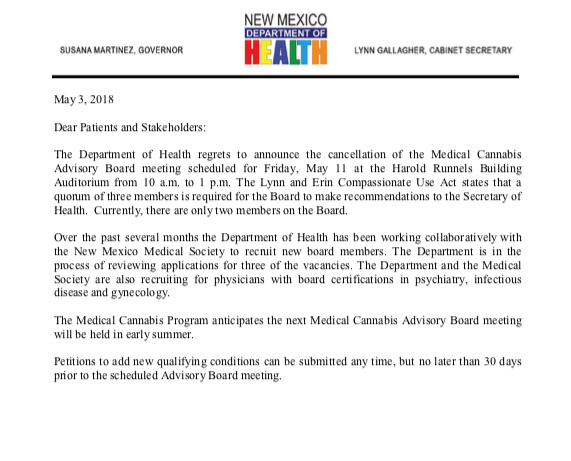 Prior to the the Medical Cannabis Advisory Board Meeting schedule for that day. The Medical Cannabis Advisory Board Public Meeting will be on Friday, May 11 2018 at 10:00 am to 1:00 pm at the Harold Runnels Building (1190 S. St. Francis Drive, Santa Fe, NM 87505) and the meeting will be on the first floor in the auditorium (Room A-1006). You may obtain the Medical Cannabis Advisory Board Meeting Agenda no later than 72 hours before the meeting from the Department of Health. If you’re ready to share the story of your child’s need to use medical cannabis at school, sharing it with us will help spread the word. Contact us to share your story. This will be a fight, but you’re not in it alone. My name is Jason Barker, I’m a medical cannabis patient, advocate, and registered voter in Bernalillo County (Albuquerque District 4/Senate 21/House 27). 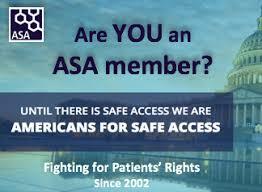 I am the Americans For Safe Access lead advocate for New Mexico and the founder and organizer with the Lynn & Erin Compassionate Use Act Patient’s Coalition of New Mexico which is now Safe Access New Mexico (New Mexico Chapter of Americans For Safe Access). 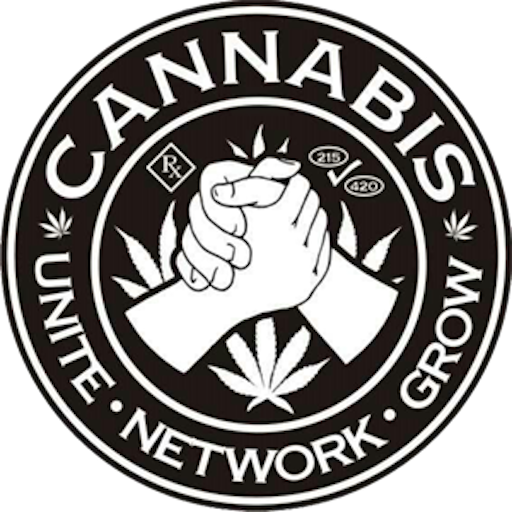 We focus solely on medical cannabis issues, decriminalization of cannabis, hemp policy and do not work on legalization of cannabis for non-medical purposes or other illicit drug issues.